Do you feel like you’ve gotten stuck in a rut in your pole training? Can’t remember the last time you learned something new? Not sure what to work on when you go to the studio? There was a time a few years ago that I felt this way about my own pole progress. Here are some things that helped inspire my own pole practice! Social media is a great place to find inspiration. If you check out any social media, instagram is the best for new tricks. I see new variations of tricks, new transitions, new combos, etcetera every day there. Here are some of my favorite accounts to follow: @Magnuslabbe (Magnus Labbe); @rhiannon.nichole (Rhiannon Nichole); @elizabeth_bfit (Elizabeth Blanchard); @titojane (Tiffany Jane); @cydsailor (Cyd Sailor); @kehong_poledance_china (Kehong). Of course I also follow all the new pole champions and pole legends too! Tiffany Jane recently posted a beautiful new spin pole pose (Top image). A few weeks later I saw Kehong add a split to this shape, which was really cool. I tried to do the split version and instead found these shapes (Photos 2 & 3) and then a new transition into yogini! Play pole games with your friends and challenge each other. This is not only fun, but I guarantee you’ll find some new tricks and combos that you love. Some of my favorite challenges include: remove a point of contact, invert a pose, add a split to a trick, or add foot-to-head contact in a trick. Here’s a game that you can play: put the names of a bunch of different pole poses on small pieces of paper. Then put those papers in a bag and draw out three papers (without looking). Then, look at the tricks you selected, in order, and try to string them together in that same order with as few other poses added in between as possible. I played this game in a partner acro class, and it was very fun and hard! I now use it for my pole and aerial hoop classes. If you want to make it harder, put qualifiers such as “on your bad side,” “no hands,” “without ever touching the ground,” or “with your eyes closed,” in another bag and draw one of these too during each turn. Training with many different people is really helpful, whether you’re jamming with your pole buddies or taking classes with different instructors. Never underestimate what you can learn from someone less experienced than you. Everyone’s body works in a different way, which leads to each person finding their own pathways into tricks. I love poling with my friends and workshopping tricks and transitions. I also take classes with many different instructors. I certainly have some of my favorite teachers that I train with weekly, but I also find it really helpful to train with a wide variety of people. Sometimes one teacher will just give the right tip to help me get into a trick that I’ve been hung up on. I’ve also learned different regressions and modifications for many tricks, each a bit different depending on the teacher. Training in other disciplines is also important and inspiring. Not only will this challenge your muscles in new ways, but it will also give you ideas for tricks on pole. I find hand-balancing, contortion, dance and gymnastics classes very helpful. There are already many handstand/forearm stand pole tricks, dance leaps and turns with the pole, chest stand tricks, and flippy pole tricks that other inspired polers have come up with that you can try. Photo 4 shows one my favorite dismounts from the pole – sliding into a chest stand. At the very least you will have some awesome floorwork tricks to put into your routine! 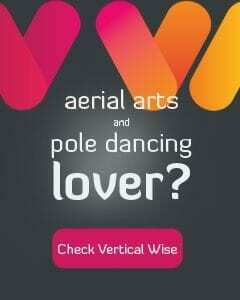 You may also find interesting shapes by training on other aerial apparatuses and trying to adapt those tricks for pole. Finally, just dance! 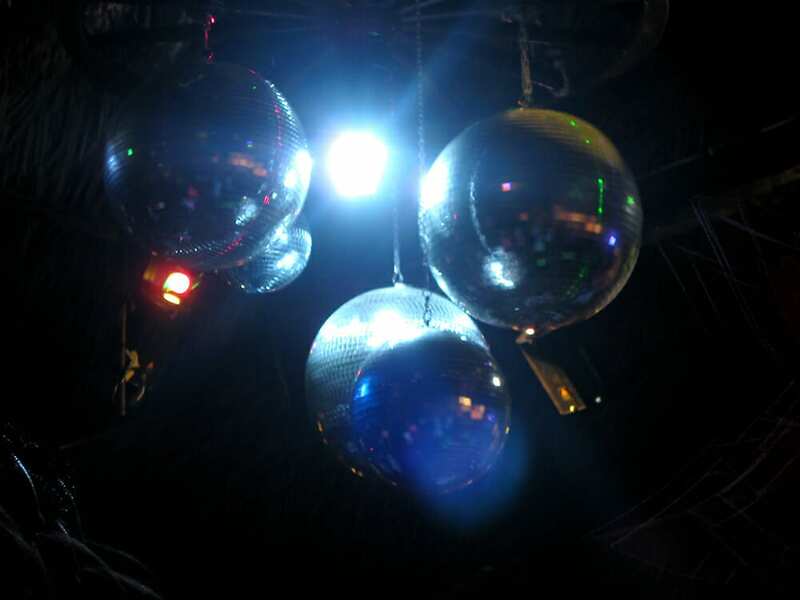 Put on your favorite songs and just let your body move! This will not only help you improve your pole flow, but you may also just find your way into some new shapes and transitions. I was recently putting together choreography for one of my classes, and found myself in a floor level inside leg hang, and then I discovered that I could simply shoulder roll out of it into a floor superman! This then inspired the same trick in the air – inside leg hang straight into superman! This is one of my favorite new transitions. Please comment with your own pole inspirations and pole games! Quiz Time! : What’s Your Pole Style?